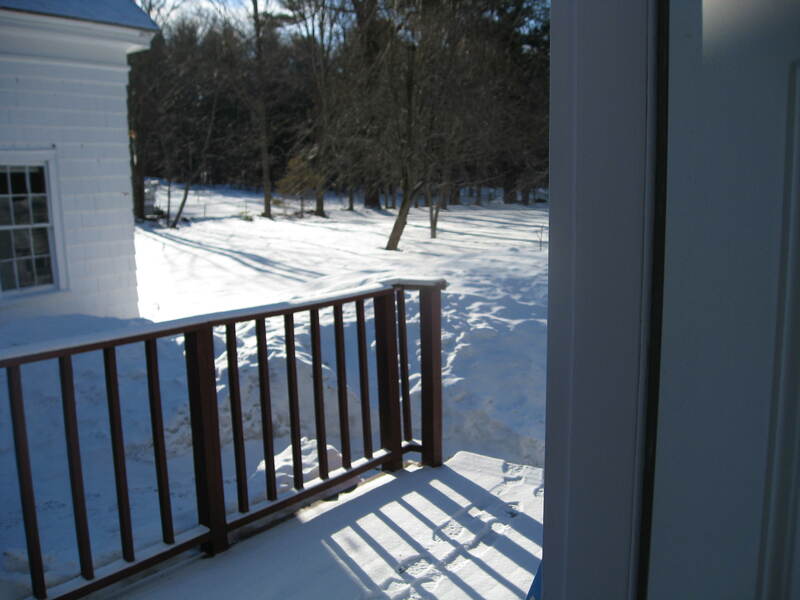 Who wouldn’t wake up in the morning and think of spring cleaning after looking out her door at this? Believe it or not it is starting to melt. Yesterday about another half inch of snow fell around here. I hear people saying that since we have had so much snow this winter they hope we get a little more so we can beat the past highest snowfall record. 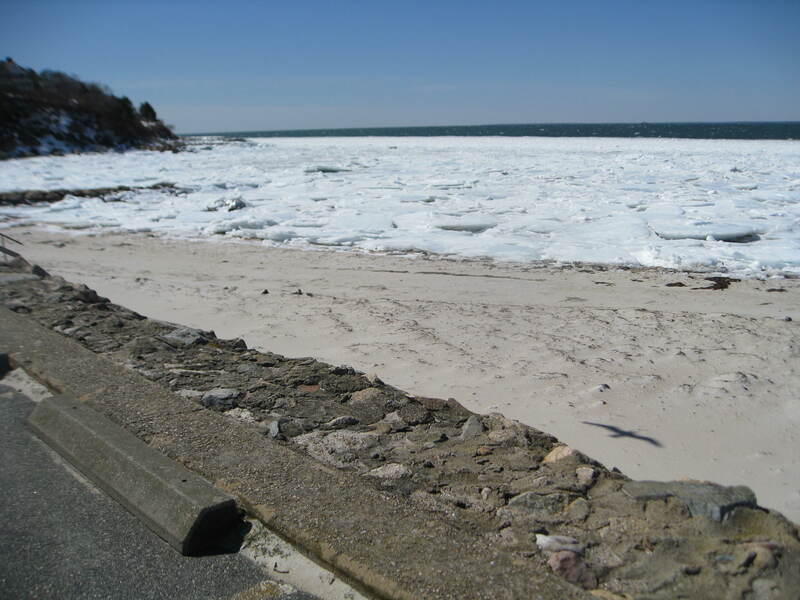 Snow began to fall yesterday as we were exploring the Mattapoisett/Marion MA towns which are on Buzzards Bay. 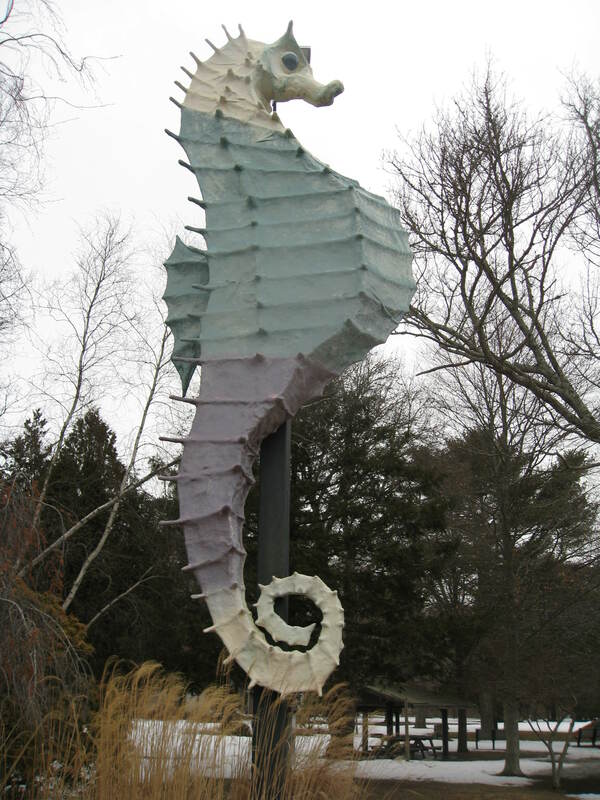 It started as we came across this 40 foot tall seahorse. I love roadside attractions, the hokier the better! 1) Continue weeding out fiber files. I have a file cabinet drawer full of fiber information and have been trying to be strict with myself and recycle the items I can find on the internet. I like the feeling that only the most crucial remain and will be used, and won’t just sit there blended in with unnecessary paper clutter. Since I love to weigh fiber so I know what I have, I decided to weigh the papers I am getting rid of and so far have weeded out 8.5 pounds of paper including the file folders. I’m not done yet! 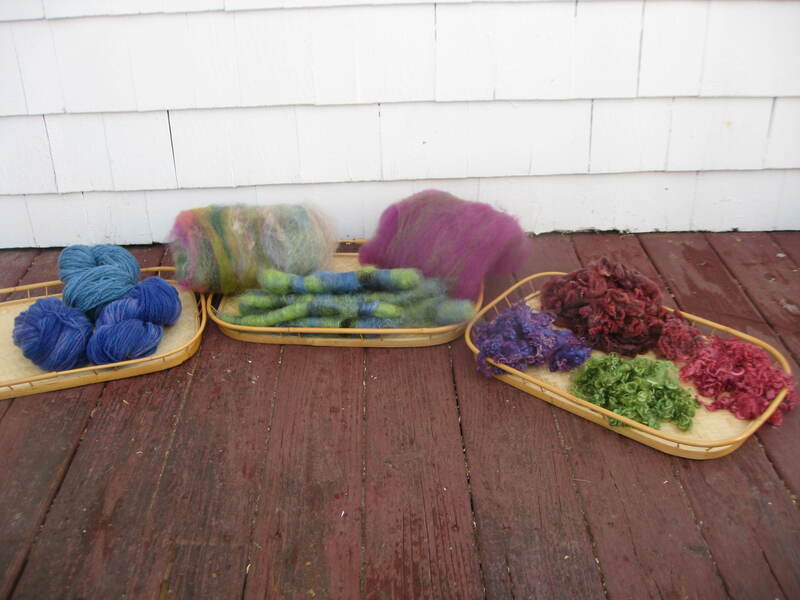 2) Get these fibers ready to take to Sage Yarn in Falmouth MA. We lived there for two years and now are 45 minutes away so can visit easily. Jen still sells my items there. It is a beautiful store and well worth the visit! Very sharp dangerous looking things, and indeed there is a story that a bishop named Blaise in Armenia in 316 performed miracles and was attacked with wool combs and then beheaded because he would not renounce his faith. He was made a saint, Saint Blaise. What a horrible way to get sainthood! 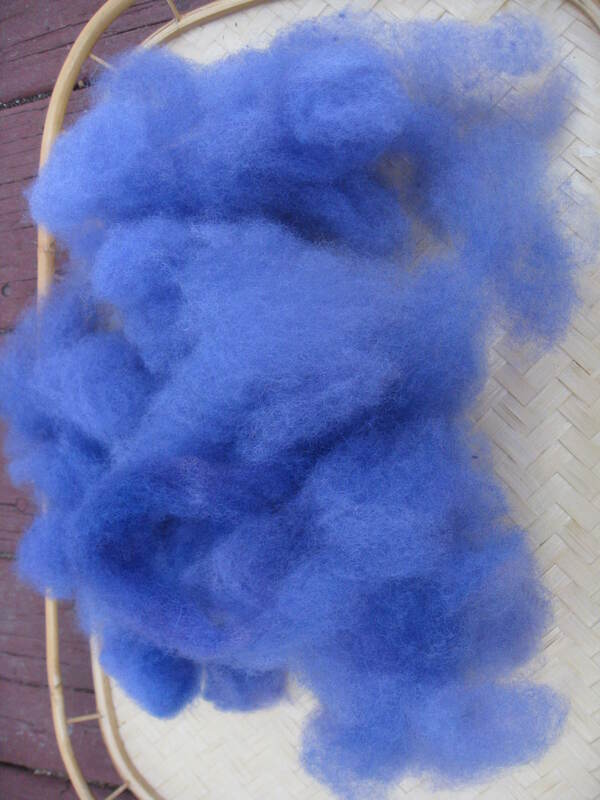 Here is the rest of fiber after combing. 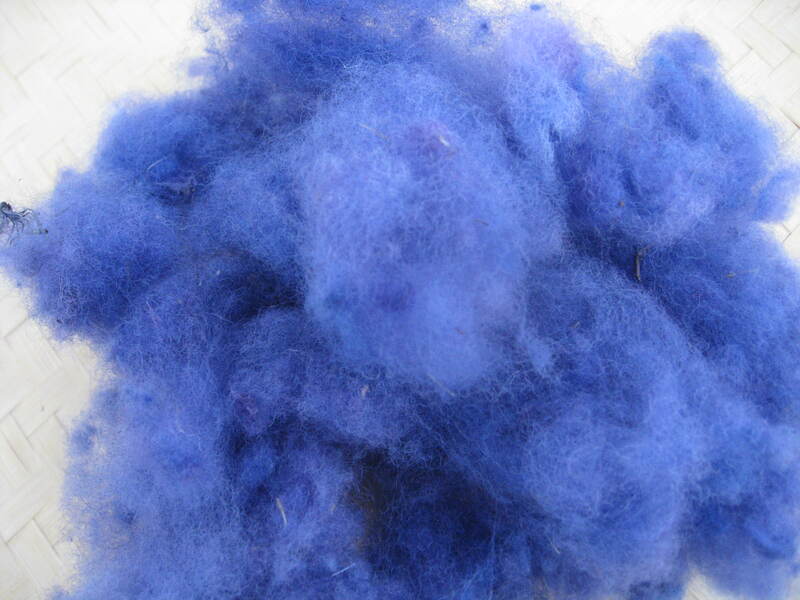 It is called “waste” because it is not good spinning material. 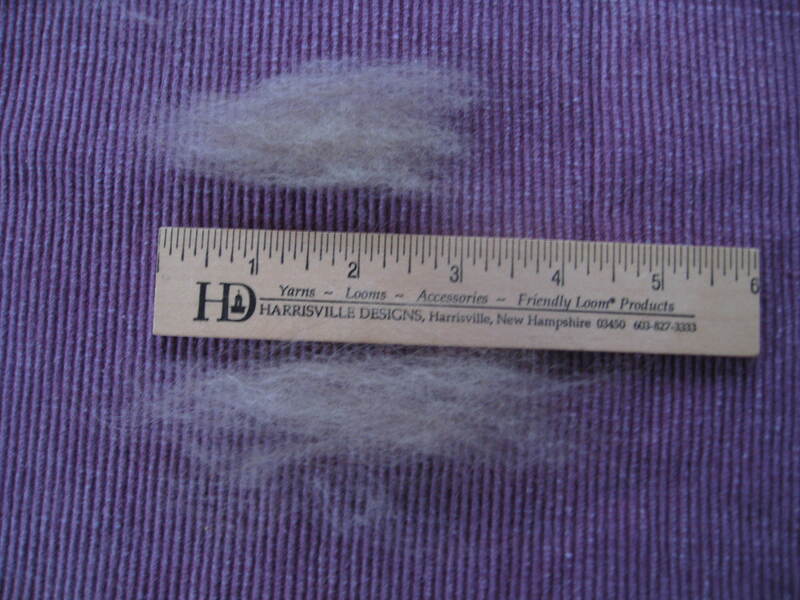 The fibers combed out are very short and any vegetation in the original fiber has come out here. 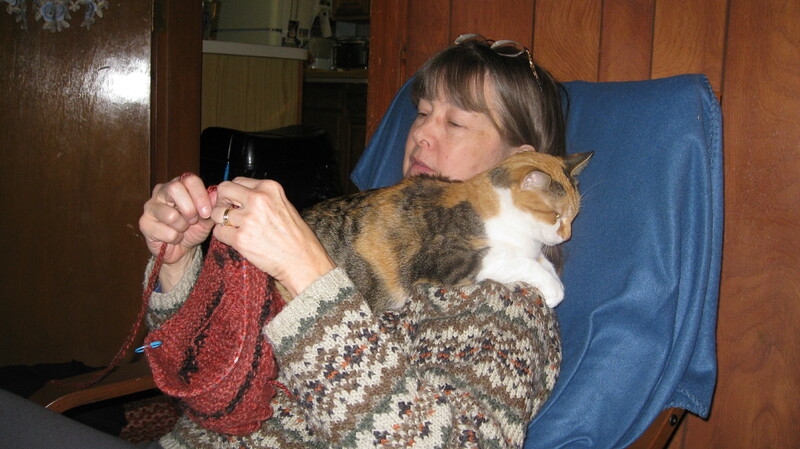 I don’t like to waste anything anywhere so I save it for stuffing the pillows I weave, felt for cat toys, and more. 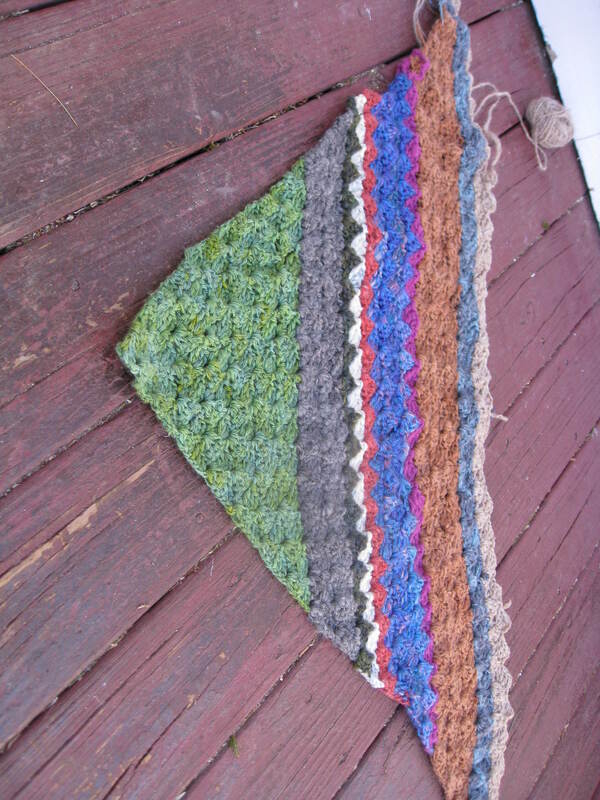 I will blend Henna with something not yet decided and make a lovely one ounce batt. 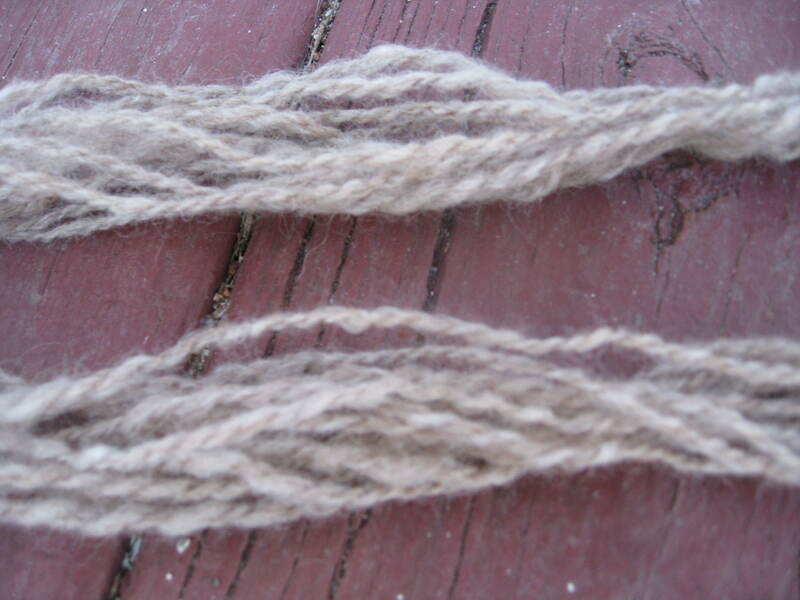 Here is my last Gulf Coast fiber, a washed pound of Fernando. I have used parts of his fiber for other things and now plan to put the rest through the picker when it visits at the end of the month. 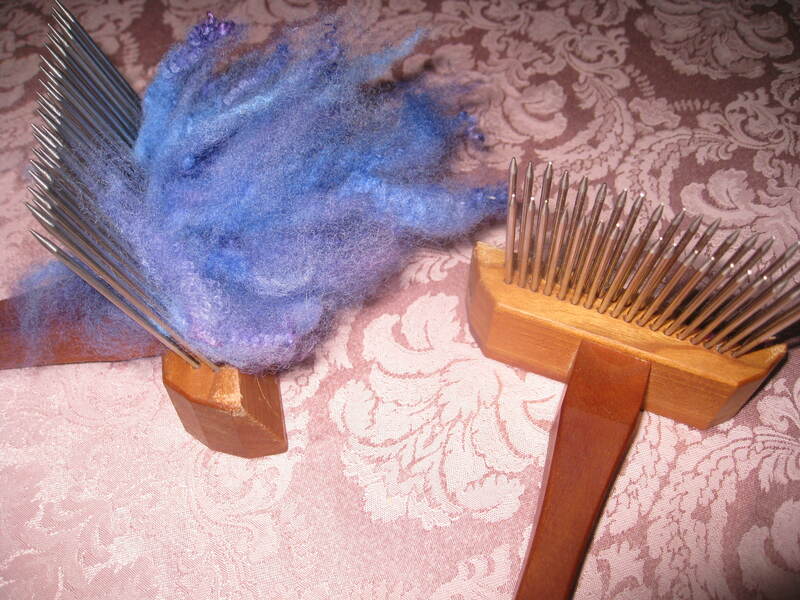 Wool combs look benign compared to the picker. You will see! I don’t remember how much I had initially. 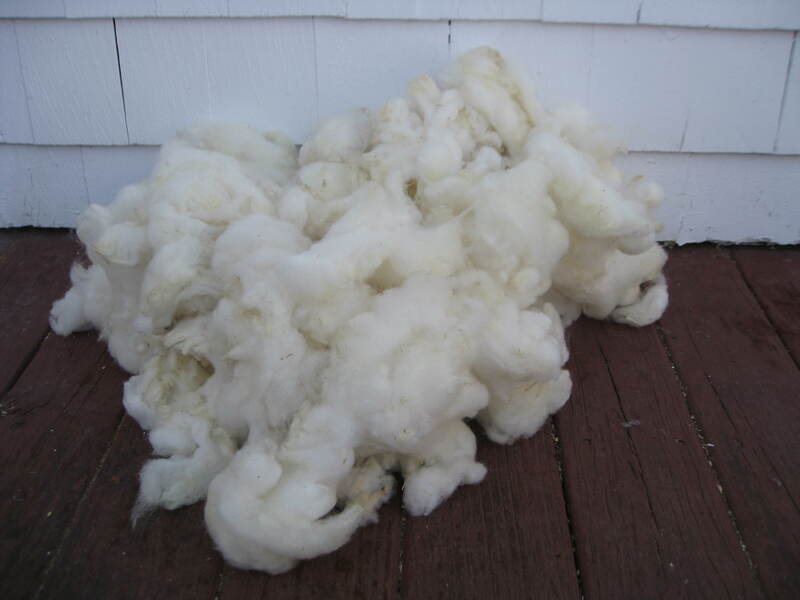 If I did it wouldn’t sound like much compared to a whole fleece which before washed can weigh 3 to 8 pounds and much more. 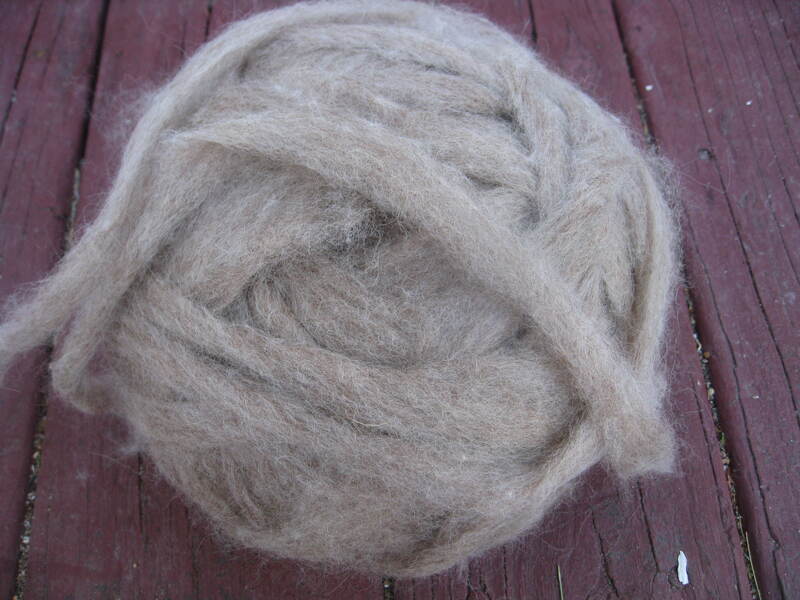 My spinning friends and I buy fleeces together at fiber festivals and then split them up. Choosing together and sharing are fun. It gets each of us more variety of fiber, and relieves some guilt over buying more which we don’t need but can’t live without. So, off to spring clean. 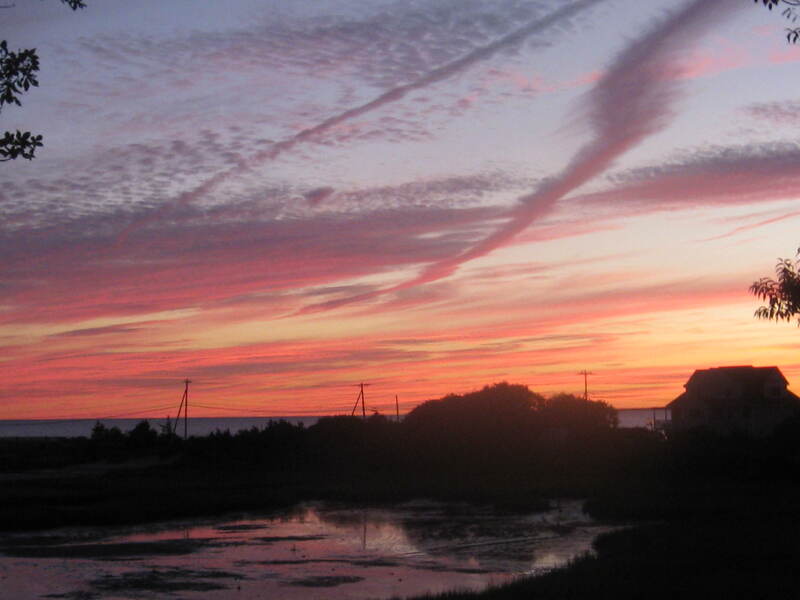 Who cares if it still looks like winter? It feels right and that is what counts. I will also day dream of gardens lying under the snow. In Mid-January when we had no snow my friend Sandy and I started to plan co-operative gardening. We now live an hour apart so it won’t be a shared plot but we will help each other with the spring tasks of getting them up and running. I got my Fedco seed catalogue and started a list, and then the snow began. I’ll put reading it today on my to do list! 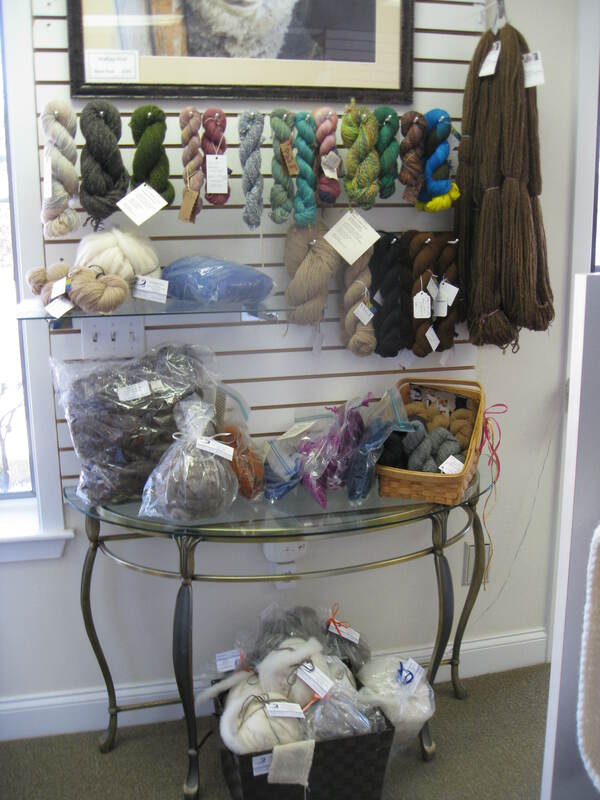 This entry was posted in Uncategorized and tagged dyed fiber, dyed handspun yarn, dyed rolags, dyed sheep locks, Fedco Seed Company, Gulf Coast sheep, handspinning, Sage Yarn, seahorse Mattapoisett MA, selling fiber, snow in spring, spring cleaning, St. Blaise, wool combs on March 16, 2015 by Betsy Alspach.